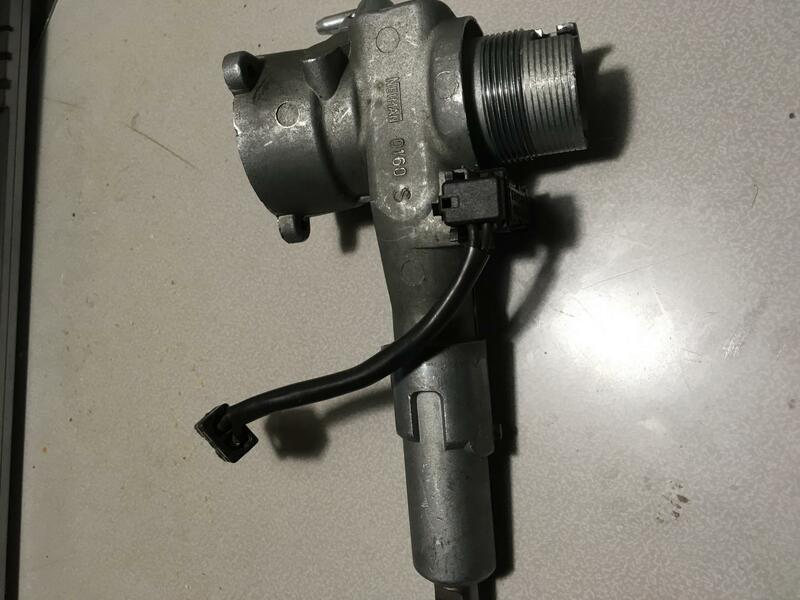 I'm putting in a new ignition steering lock assembly. I had thought it was the ignition switch that was doing a slow fail, I did the backward unscrewing of it from the ignition lock assembly, oops turns out the tab from the ignition lock assembly that turns the ignition switch was failing. Little pieces of it came out with the switch, the mirror showed it to be looking badly metal fatigued into ruin. I'm using the PDF tutorial of some guy on the web, has been interesting. My key lock buzzer must have been unhooked when I got the car. Fine with me. I like the buzzer telling me the headlight is on but not the buzzer telling me my keys are in the ignition. The vids and articles I've found have only one small bundle clipping onto the jack which mounted to the housing. My car has two. I was about to take the black plastic unit from the old switch to put on the new one and I'm thinking why bother? I don't want to use it. I'm just wondering why mine has two wire bundles going off from it instead of one. Does it perhaps control something else that will cause me grief if I don't hook it up? Last edited by cmac2012; 02-04-2019 at 04:29 AM. I checked out the alarm system to see if the ignition switch was on those drawings and nothing showed up there. Looking in the FSM is a crap shoot with such limited information but I have found everything I searched for in the past. Thanks for the help. I did much online searching to no avail. It's not a real important switch in the greater scheme of things. But mine is different than the unit the tutorial guy (wink, wink) displayed. His had a two wire harness on one end; the other blank. Mine has a two wire harness on each end. Bonus photo - metal fatigue on display. Last edited by cmac2012; 02-04-2019 at 03:53 PM. I am thinking you may have a seat belt warning light that the other wire goes to. But, I am guessing. On the W123s I have never noticed a seat belt light and it has only one wire. I did not know how to get the switch out of my damaged steering Colum Lock so I carefully cut off one of the aluminum lips get it off with out damaging it. On my the switch had hooks on each side of the Switch that expended into recesses in the aluminum lips. 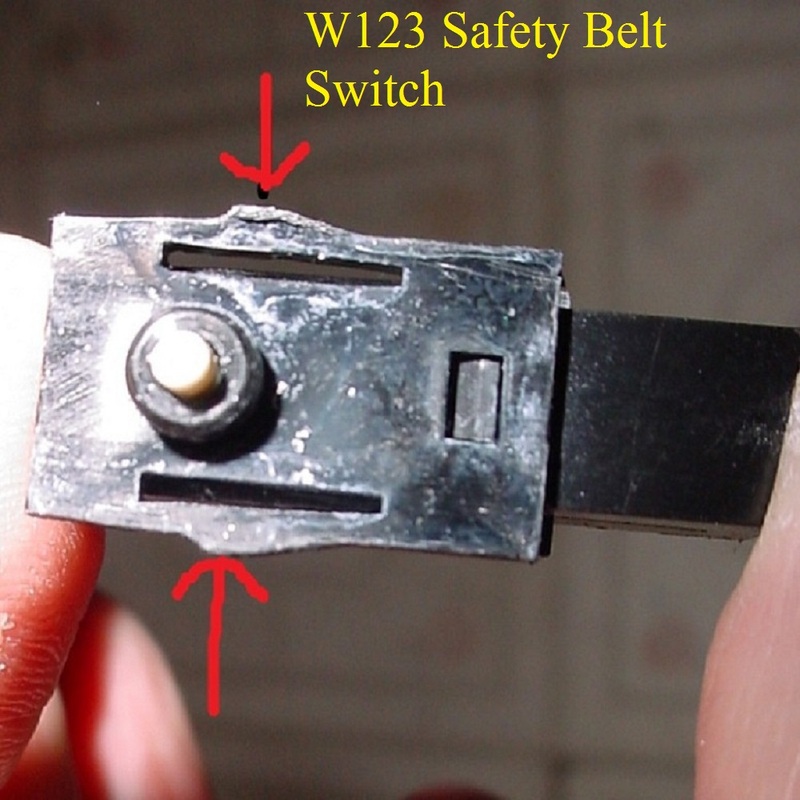 On the W123 in order to depress the little switch hooks on each side of the switch you need to get something like the old "bobby pins" that were made of folded flat wire. And shove the flat pare into each side of the switch to depress the hooks so the switch can be pushed out. 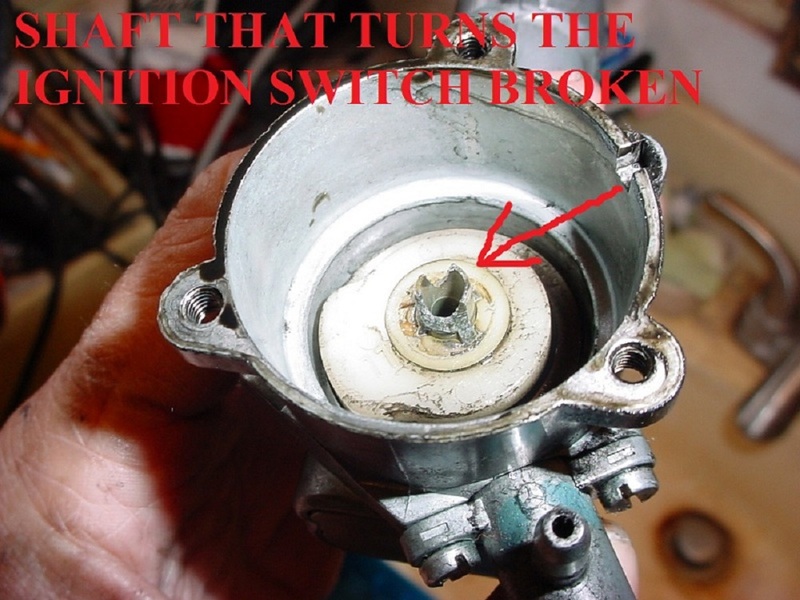 You also need to have the ignition in a position where the switch plunger is all the way up inside of the switch. Last edited by Diesel911; 02-04-2019 at 03:14 PM. The shaft that turned the Ignition Switch on mine also broke. It mimicked the Lock Tumbler issue where the Key got stuck and I had to fiddle with it to get the key to turn and come back out. 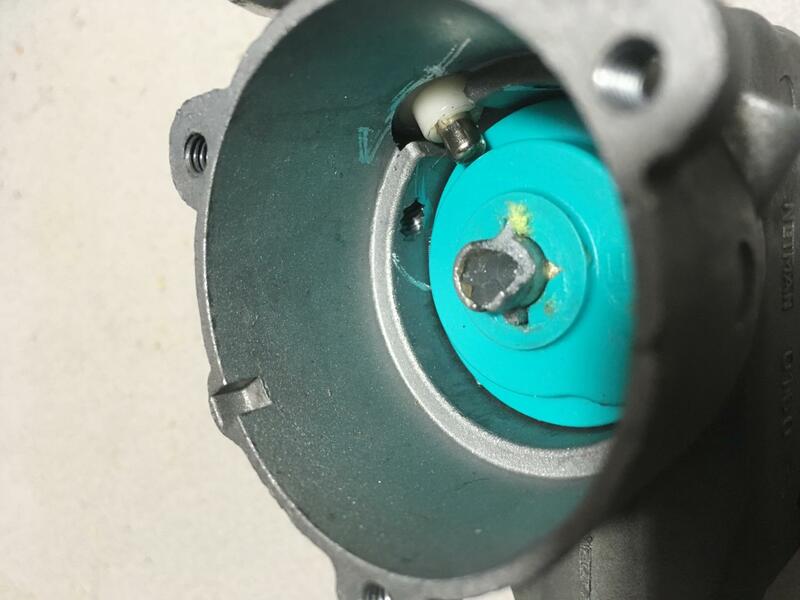 I think if you believe you are having a lock tumbler issue it would be a good idea to go the extra distance and remove the Steering Colum Lock assemble and take a look inside of it ant also at the Ignition Switch itself. On my Ignition Switch one of the Contact Points on one side was burned off and gone. So it was just a matter of time before the arm itself would be burned through. 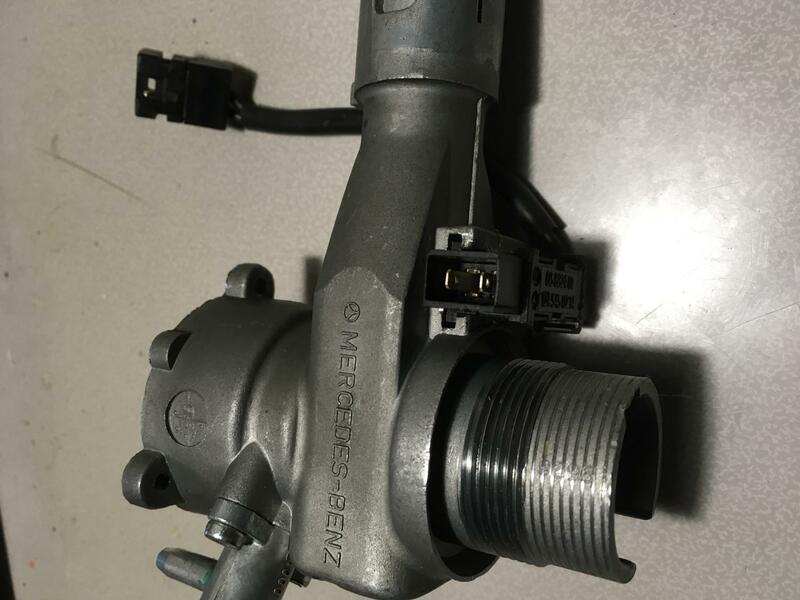 When you order a new Steering Colum Lock you can get it with a new Ignition Switch and a new Vacuum Switch (the one on the Steering Colum Lock assembly). In my experience with MB ignitions giving one a complete exam will save the inconvenience and expense of being stranded sooner or later. I needed a diesel ignition when I installed a 617 in the gas body so the vac shutdown system would work. The gasser body had a two wire switch mounted on the original ignition. I was able to remove the little black switch off a gas ignition and put it on the new diesel ignition I'd bought to prevent future issues. It resisted but it will slide out of that molded bracket. These were 1st gen bodies and engines so what I'm reporting may not work with the 2nd gen w126s.